Cyanoacrylate de-bonder based on a hydrocarbon solvent. 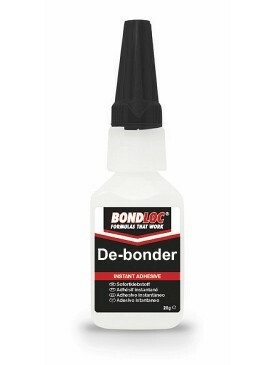 Used to soften and dissolve cured cyanoacrylate adhesive to enable removal. Related links to "de bonder"
Customer evaluation for "de bonder"